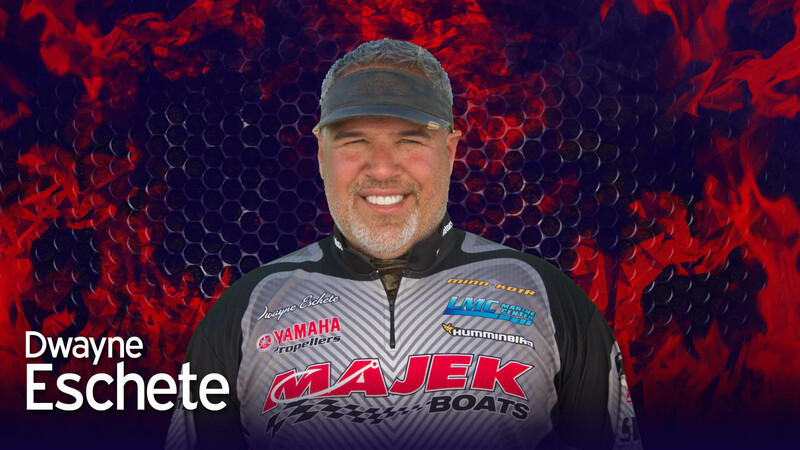 Team Name: Team "Majek - Yamaha"
Favorite Bait: Berkley Gulp, Gulp Alive Shrimp Model: GAPSHR4-PW, There is no other bait on the market comparable. This bait has won more money in fishing than any other bait on the market! Favorite Rod: Abu Garcia® Veritas® 2.0 Casting, MODEL # VRTC69-6, I try to break them in and in 3 years I've yet to break one. Do you get nervous before tournaments? No I don't get caught up in the hype... I fish because I enjoy it. I don't fish to let it stress me out. Every day on the water should be enjoyable. Your most memorable fishing moment: Taking make a wish kids fishing and taking wounded war heroes fishing!!! Highlight of my fishing career. It will make you very humbled!!! Your biggest fishing influence: My son Dex!!! He inspires me to go and sigh. We both grew up together me as a father and Dex as a son who loves the outdoors. He is not able to go fishing like he would like. It makes me appreciate the things that some of us may take for granted. I would also like to thank my wife for allowing me to go fishing! Also my daughter for excusing me for some of her highlight moments that I did not attend!!! We are all blessed and thankful for what the Lord has given us!!! Each Other!!! Family!! !